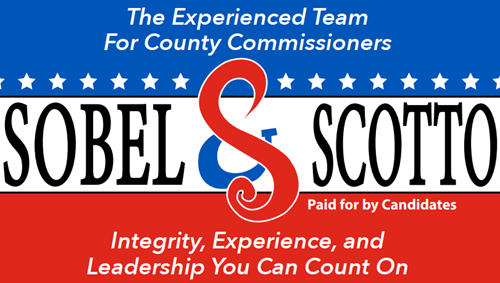 SOBEL & SCOTTO FOR COUNTY COMMISSIONERS! John Sobel has announced his candidacy for re-election to the office of Clearfield County Commissioner in the Republican primary. He has served as commissioner since 2008. Sobel is a 1971 graduate of Clearfield Area High School, 1975 graduate of Vanderbilt University and a 1979 graduate of Penn State Dickinson School of Law. He has practiced law in Clearfield County since 1980. 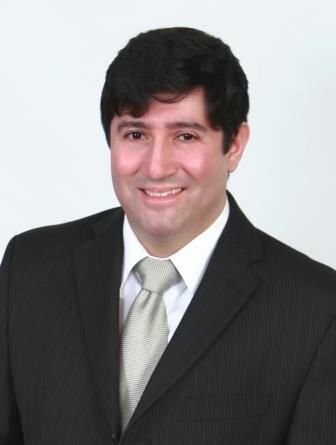 In his law practice, Sobel has served many local communities as their solicitor. These have included Benezette, Covington, Girard, Graham and Morris townships as well as Burnside, Chester Hill, Mahaffey, and Osceola Mills boroughs. As a result he is very familiar with challenges currently facing municipal governments. Sobel has also served Clearfield County as a public defender, solicitor for Children and Youth Services, Guardian ad Litem protecting the rights of children and solicitor for the Register and Recorder’s office. Such service has prepared him for the many and varied needs of county government since being elected commissioner. Sobel currently volunteers on the board of directors of the Clearfield YMCA and the board of trustees for the Shaw Library of Clearfield. 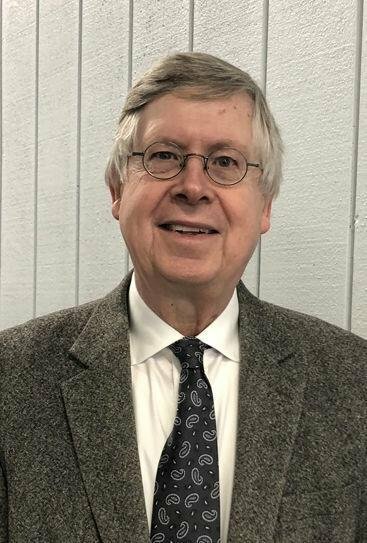 He is the commissioner representative to the Clearfield-Jefferson Heroin Task Force, the Clearfield County Recreation and Tourism Authority, the Community Connections advisory board and the Northcentral Workforce Development board. Sobel also belongs to the Bilger’s Rocks Association, the Clearfield Masonic Lodge and is a social member of the Northpoint Volunteer Fire Co. He is pro-life and, as a supporter of the second amendment, belongs to the National Rifle Association. Sobel is a resident of Lawrence Township and worships at the Presbyterian Church of Clearfield where he has served as an elder. He is the father of a daughter, Johnna, who is a teacher at Clearfield Elementary School and resides in Penfield. “Whether one speaks about workforce development or the opioid and methamphetamine crisis facing the Commonwealth and our local communities, Clearfield County is facing many challenges. I intend to use my experience to deal with these issues. I therefore humbly ask for your continued support,” he said. Tony Scotto has announced his candidacy for re-election to the office of Clearfield County Commissioner via the Republican primary. Scotto is an incumbent, serving as commissioner since 2016. Prior to this, he served as Clearfield County Controller from 2010 to 2015. “The role of the board of County Commissioners is to oversee the organization and productivity of county government as it is the seat of legislative and executive powers. The departments in which the board authority includes are budget and finance, debts, contracts, appointment of department heads and staff, as well as representing the county within various boards,” he said. In order to satisfy the qualifications necessary to fulfill this responsibility, Scotto offered his educational background and previous professional experiences. He is a graduate of Seton Hall University where he obtained a bachelor of science degree in business administration with a concentration in finance. As for implementation of this degree, Scotto has worked as a financial advisor at American Express, licensed specialist at a local bank and as a client services representative at Prudential Retirement Services. In supplement to this, Scotto has also owned and operated two locations of Scotto’s Pizzeria, in both Clearfield and DuBois. In linking these qualifications to county government functions, Scotto has applied this enrichment throughout his service as both county controller and county commissioner. Within the respective fulfillment of both services, he has offered unique prospective toward the retirement, salary and prison boards. Furthermore, in specificity to his commissioner’s term, Scotto has represented the board of commissioners within the following local organizations: Clearfield County Conservation District, Central Pennsylvania Community Action and Community Connections of Clearfield/Jefferson Counties. Independently, Scotto is a member of other community-oriented programs. He belongs to the Knights of Columbus and is a parishioner of St. Catherine of Siena parish. He is also a social member of Northpoint Volunteer Fire Co. of Treasure Lake and Sabula. In addition, Scotto is a former member of the Lions Club and the Pennsylvania State Association of County Controllers. Scotto resides in Sandy Township along with his wife, Rossella, and two children, Mario and Monica. As a small business owner, Scotto has imparted the value of work ethic and responsibility unto his children. “If granted another term I intend to continue towards economic development, environmental preservation and improving the quality of life for all Clearfield County residents. I maintain my mentality as the fiscal watchdog for Clearfield County. I respectfully request your continued support and I pledge to oversee the proper allocation of Clearfield County taxpayer dollars,” he said.